Hand Pies - Finished, originally uploaded by lilithny. 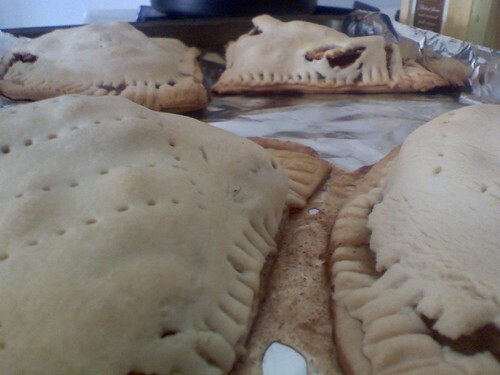 Hand pies M made a few weekends ago. We originally planned to bring these to dinner, but they stuck to the foil and were falling apart.